The maximum cashback you can get during this promotion is £90 (by buying 3 multipacks and 3 high yield blacks). How much ink is there left in your HP 6500 Wireless cartridges? 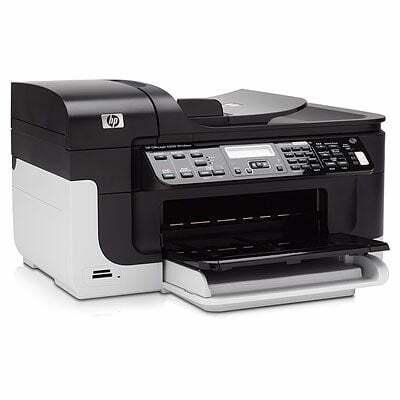 Inevitably your HP 6500 Wireless will run dry of printer ink, and when it does you'll soon find that fresh HP 6500 Wireless ink is often very expensive. Thankfully, however, you have no reason to waste your time worrying about coughing up the steep fees you'll discover on the main street because now at Cartridge Save you can purchase all the HP 6500 Wireless cartridges you'll ever want at really small prices. Save more cash on your ink by purchasing online with Cartridge Save! You don't need to fork over for the 6500 Wireless original cartridge or 6500 Wireless compatible ink down the high street when it is far easier to save a load of cash buying online with Cartridge Save. Get complete confidence when ordering OfficeJet 6500 Wireless ink cartridges from us because they are all underwritten by a cast iron money back guarantee. Keep in mind that each and every purchase has free delivery, most likely arriving on your doorstep next day! Built for small offices and home offices, the all-in-one is a HP Officejet 6500 Wireless delivers high-quality prints, scans, and copies. It also has a fax and works with either wired Ethernet or Wi-Fi. While it is a reliable device, the Officejet 6500 Wireless is a bit on the bulky side and is plagued by some software issues. The HP Officejet 6500Wirelss is 18.7 x 18.6 x 10.16 inches in size and weighs around 20 lbs. It features a good flatbed scanner and a user-friendly control panel with a numeric key pad for faxing and a 2-line LCD. Users appreciate the automatic document feeder, 250-sheet input tray, and 50-sheet output tray. A mid-range all-in-one, the HP Officejet 6500 Wireless is a good value workhorse. It has fast printing speeds of up to 32ppm and 31 ppm for black and coloured prints, respectively. It is ideal for workgroups as it offers networking via Wi-Fi. The HP Officejet 6500 Wireless saves money, increases efficiency, and reduces paper waste with the automatic duplexer and the inexpensive high-yield inks. Memory card slots are also available for easy file and photo printing. Though the printing speed of the HP Officejet 6500 is fast, the scanning is very slow. Other all-in-one printers have coloured LCDs, but the HP Officejet 6500 only has a mono display. There are several issues with the software, especially on newer operating systems.